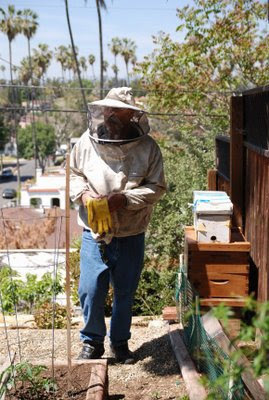 Kirk’s Beehuman blog centers on how he captures those swarms, and his joy in promoting the fine art of beekeeping. "The number of bees and beekeepers has gone down in the last 20 years. But it’s like planting seeds. People are getting interested in beekeeping."